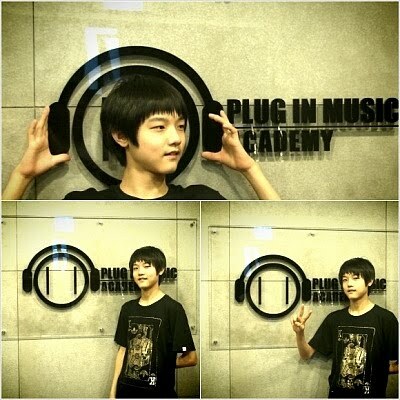 "Plug In Music's very own, Choi Sungmin, has signed an exclusive with Core Contents Media to join: Co.ed. He's also part of our sister academy, JOY DANCE Academy. On July 23rd, 2010, Core Contents Media came in to sign and confirm the exclusive contract with Choi Sungmin. He's currently a student at JOY DANCE Academy, and recently completed a one-year personal training course. Choi Sungmin will debut after only two months of preparations in the 9-member mixed group, 'Co.ed'. The post made by Plug In Music will probably be removed within the next few hours because it's currently garnering a lot of attention amongst netizens, and it's not supposed to be revealed as of yet. Previous students of Plug In Music consist of Minji of 2NE1, Seungri of Big Bang, Goo Hara of KARA and the new Jewelry member and Superstar K contestant, Park Se Mi.